When Lori Hoopingarner began having a stroke, she, her husband and the staff at TVH had to act fast. 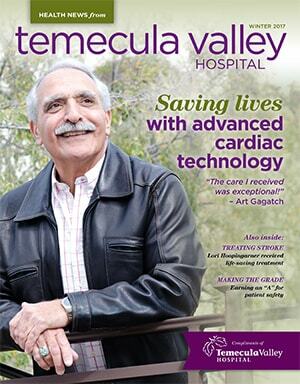 Art Gagatch credits the staff and advanced cardiac technology at TVH for helping him survive his heart attack. Could You Be Suffering From Allergies? A Q&A on all things allergy-related with Matthew Leach, MD, an ear, nose and throat physician at TVH. The Leapfrog Group, a national nonprofit organization, recently awarded TVH with an “A” rating.